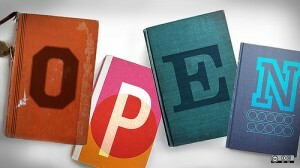 Why do we need open licenses? What has changed in the world which implies the need for something between “All rights reserved” and “Public domain”? Watch the video below to get acquainted with the open licensing philosophy. Creative Commons is a non-profit organization devoted to expanding the range of creative works available for others to build upon legally and to share. 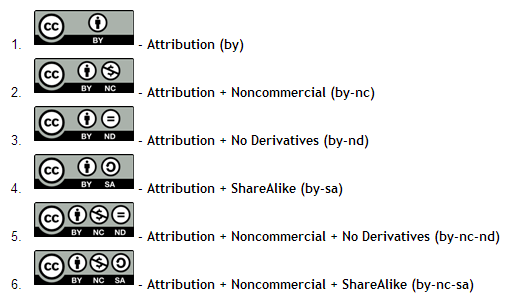 The organization has released several copyright-licenses known as Creative Commons licenses. These licenses allow creators to communicate which rights they reserve, and which rights they waive for the benefit of recipients or other creators. Creative Commons has been described as being at the forefront of the ‘copyleft’ movement, which seeks to support the building of a richer public domain by providing an alternative to the automatic “all rights reserved” copyright, dubbed “some rights reserved. In terms of degrees of sharing and openness Creative Commons gives us a space to operate between all rights reserved and the public domain. The image below demonstrates how the licenses an be combined to create unique licenses which range from least restrictive to most restrictive. Note that as you apply more restrictive clauses the material becomes more difficult for others to use. Also note that certain media formats are easier to adapt, such as wiki and xml formats which are easily edited (built upon) and translated between applications. 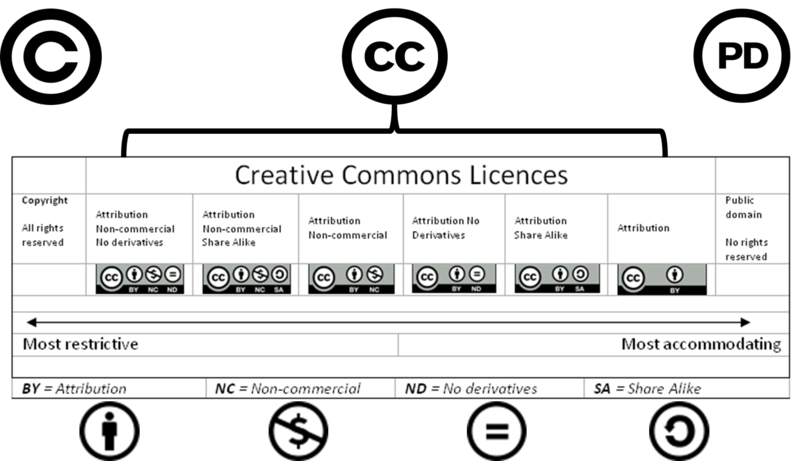 Licensing your work is as simple as visiting the Creative Commons website, selecting the conditions of the license discussed above, and choosing the jurisdiction of the license. Additional information can be added optionally. To do the latter you need to go one step further and gather the plain text and button manually. This can be tricky so we have created the following screencast to help you through the process.